West Ridge: 5.4, mostly 3rd and 4th class. 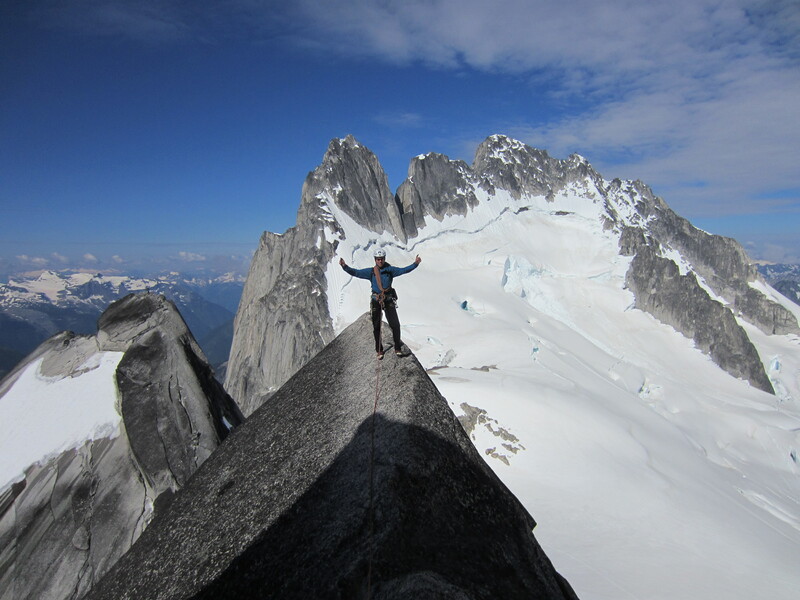 The West Ridge of Pigeon Spire may be one of the most climbed routes in the Bugaboos owing to its relatively low prominence from the Vowel Glacier and the fact that it has a reputation of being the best 5.6 Alpine Rock Climb in North America…and its true! 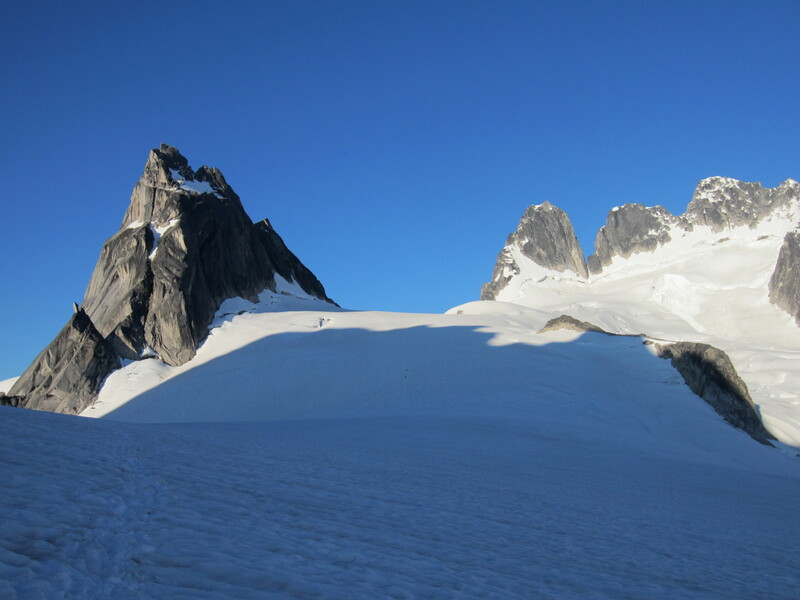 For many aspiring alpine climbers, this is their first Spire climb and the exhilarating “au cheval” section will have you smiling from ear to ear. A very aesthetic climb which can be done in boots but is faster with comfortable fitting rock shoes. A fit party of two can climb the West Ridge in 10 hours return trip from the Kain hut. 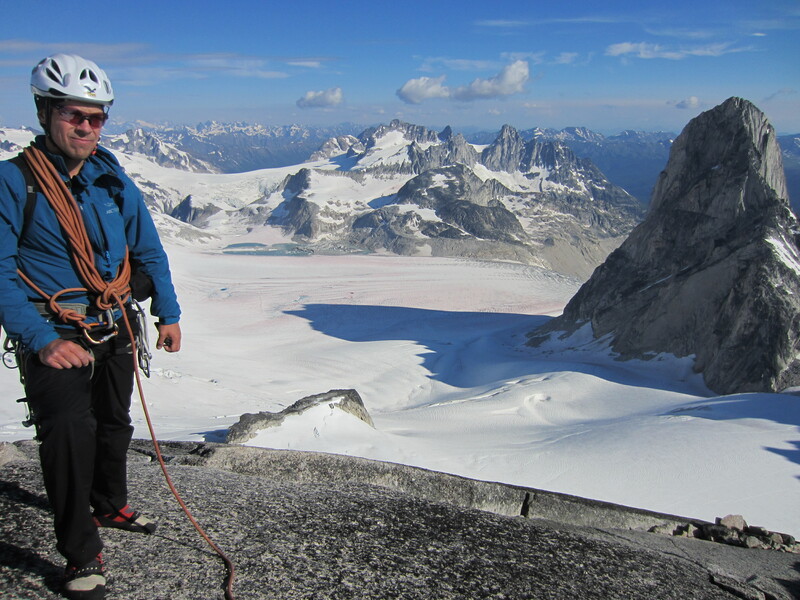 Pictured above is myself while guiding an ascent of the West Ridge of Pigeon Spire in 2013. 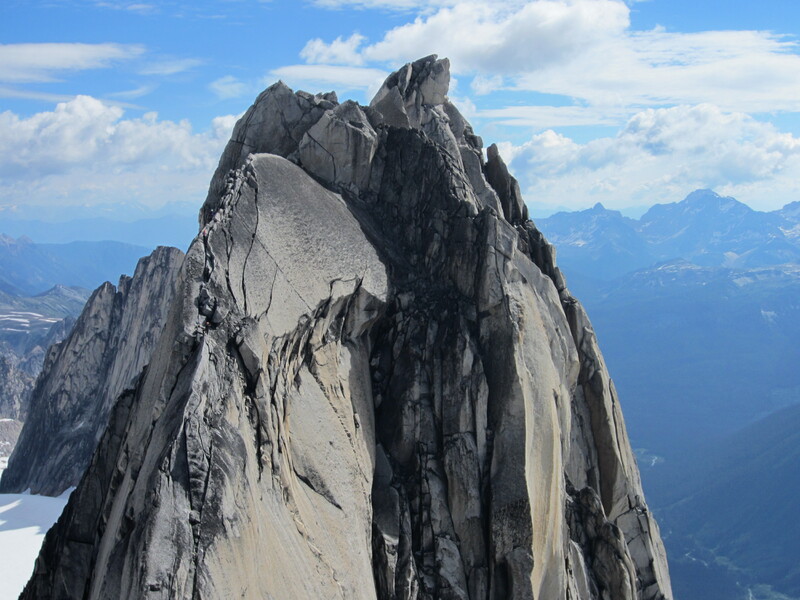 Click on the bottom left photo to spot the climbers!